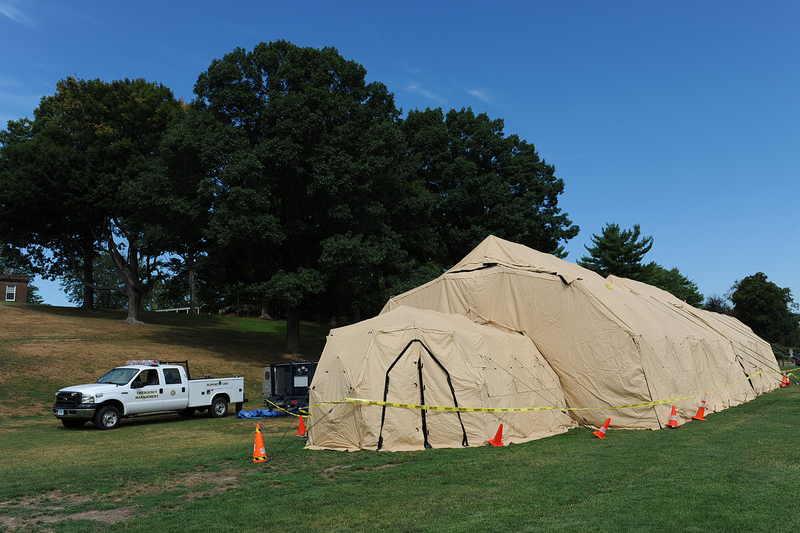 In the event of an emerging infectious disease outbreak, other public health emergencies and acts of terrorism, a mobile hospital can provide an additional 125 beds. 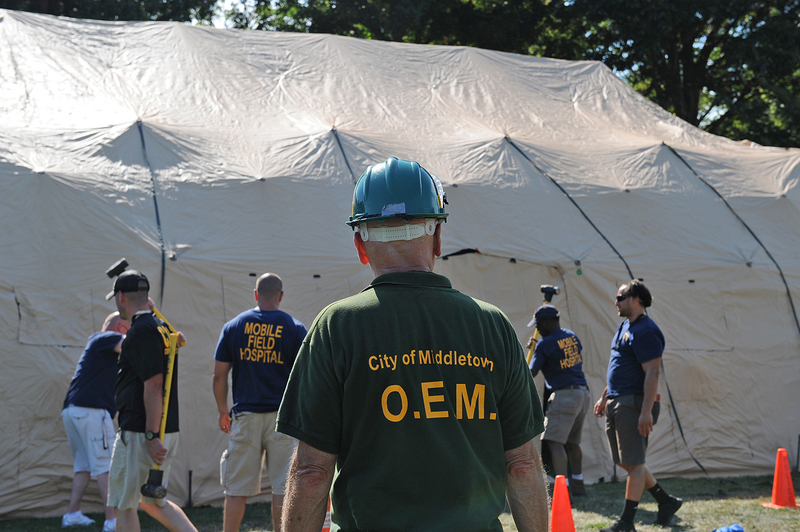 Members of Wesleyan’s Campus Community Emergency Response Team (C-CERT) constructed a mobile hospital Aug. 3 with guidance from Middletown’s Office of Emergency Management and Middletown Fire Department. 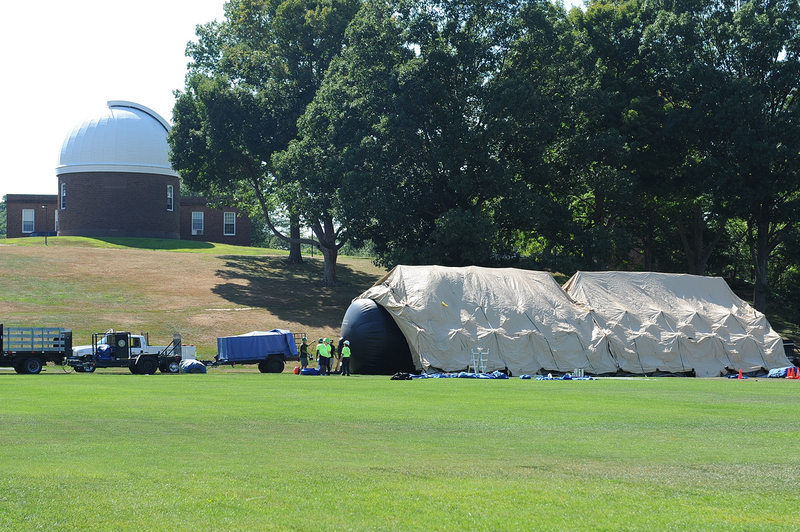 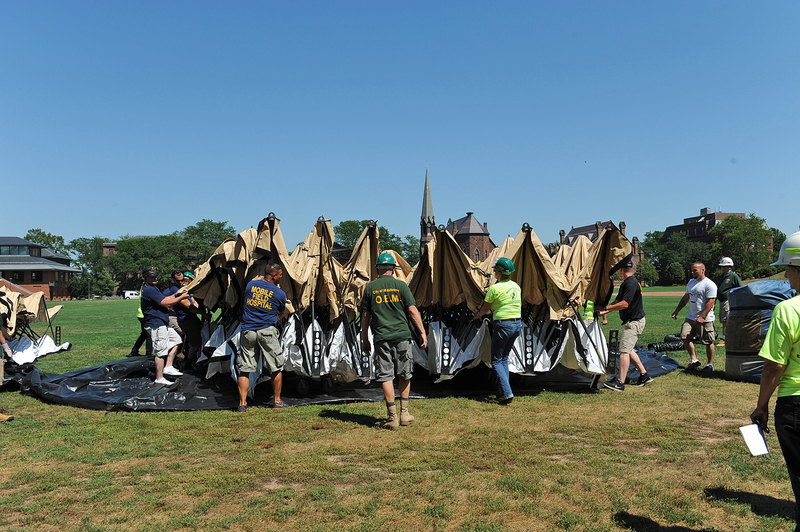 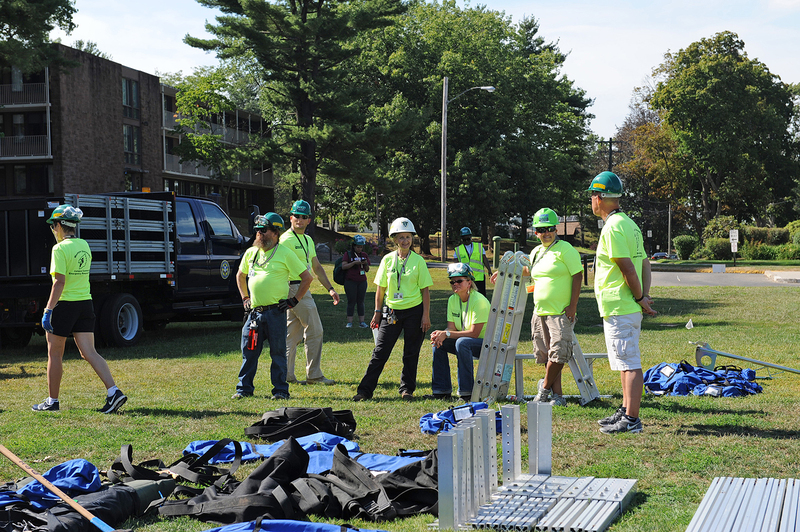 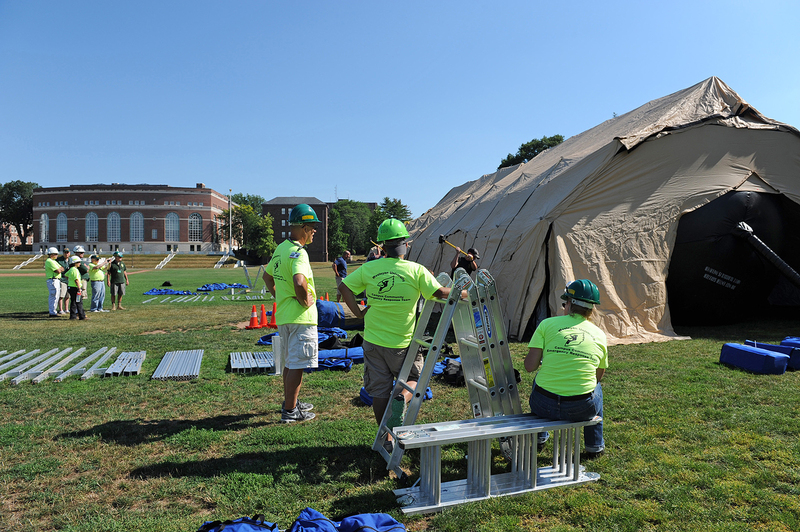 On Aug. 3, more than 20 Wesleyan employees helped erect a tent on Andrus Field that could be used as a medical facility in the event of an emergency situation. 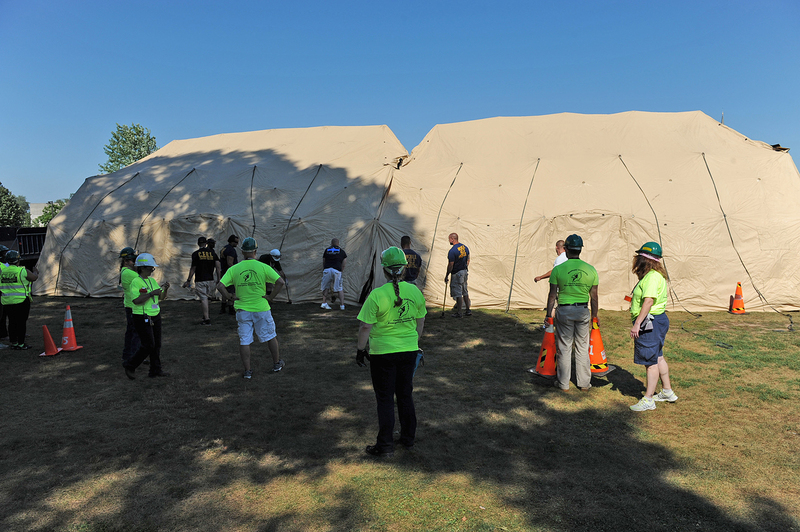 The inflatable tent, which measures 60 by 30 feet, is 1/5 of the complete Ottilie W. Lundgren Memorial Field Hospital owned by the State of Connecticut. 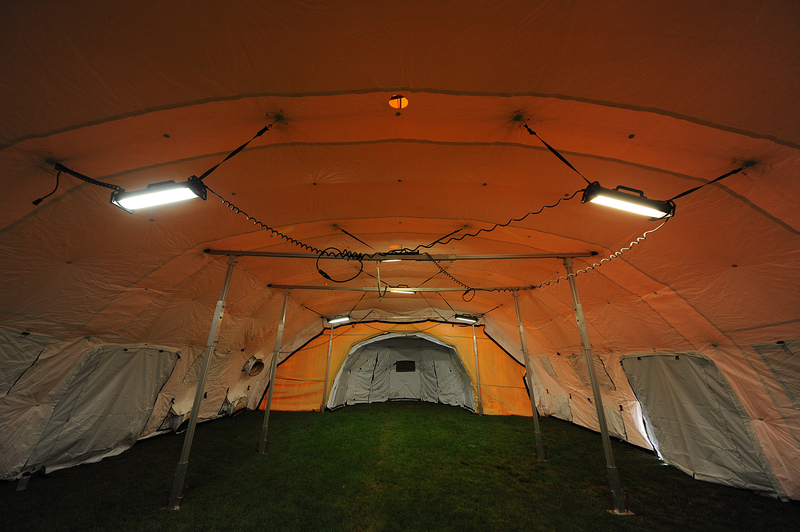 If all sections of the tent were assembled, it would contain a 125-bed unit, an operating room, ambulatory care and triage areas. 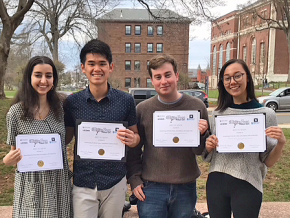 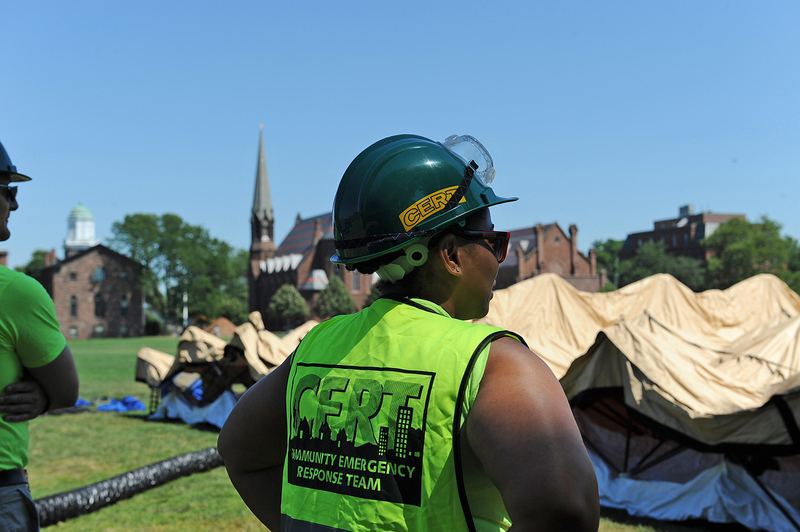 Members of Wesleyan’s Campus Community Emergency Response Team (C-CERT) constructed the mobile unit with guidance from Middletown’s Office of Emergency Management and Middletown Fire Department. 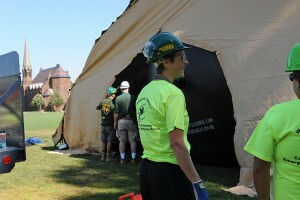 After assemblage, the tent was inspected for any wear or problems. 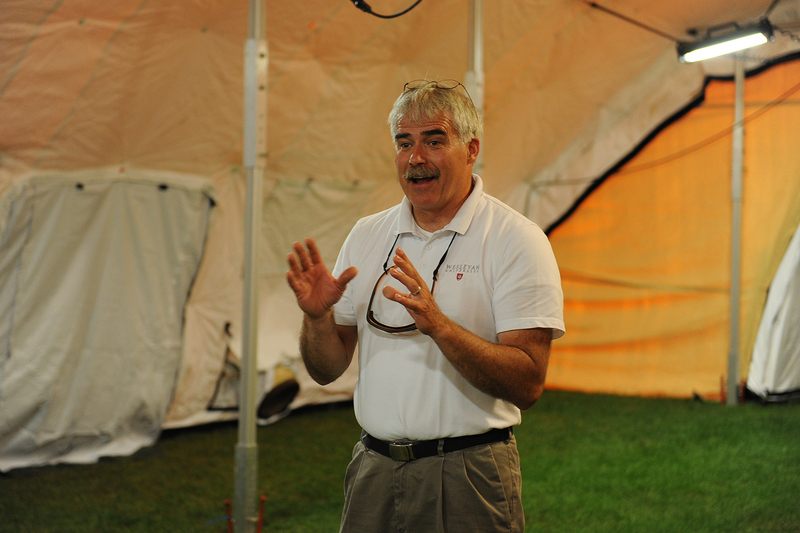 The medical facility was last constructed five years ago near Wesleyan’s Physical Plant-Facilities on Long Lane. C-CERT member Jen Curran helps construct the medical tent. 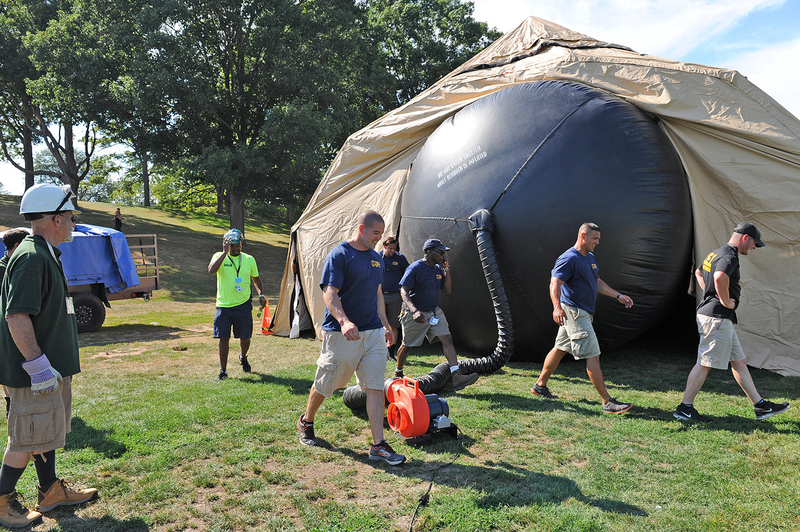 Once the structure’s shell is assembled, staff used air to inflate the tent. 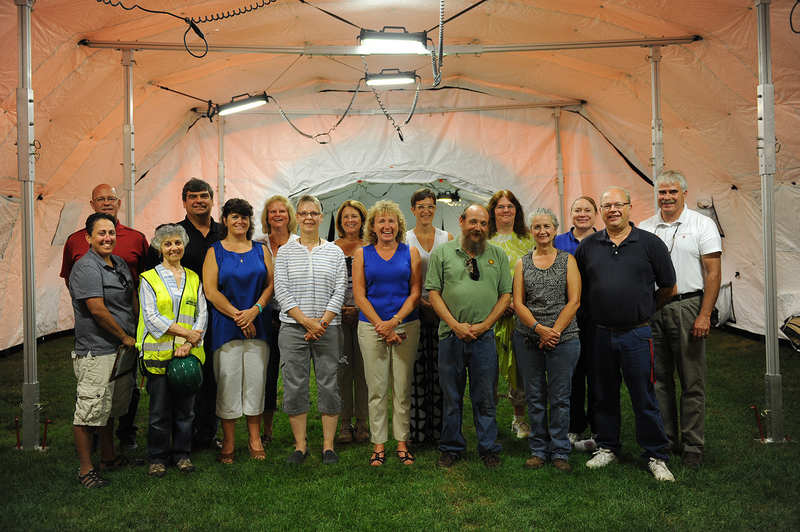 Air conditioning units also were tested.